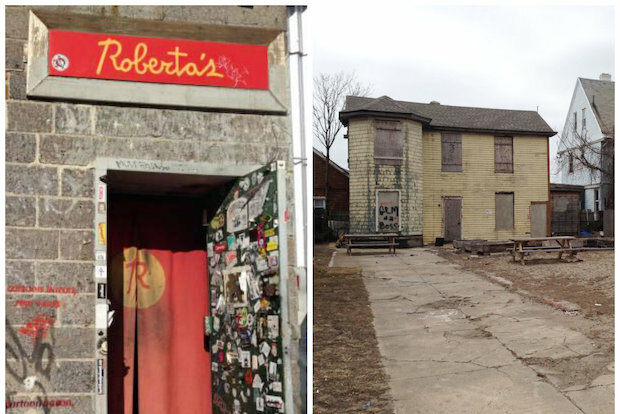 ROCKAWAY BEACH — Rockaway could be getting a piece of the Roberta's pie. The owners of the popular Bushwick pizzeria Roberta's are expected to open an outpost in Rockaway Beach, according to two sources familiar with the plans. A lease was signed earlier this month for a lot on Beach 96th Street off Rockaway Beach Boulevard, according to sources. The lot is zoned for residential and commercial use, according to city records, and currently houses a shuttered home and a large garden. It's not immediately clear what kind of restaurant the Roberta's team will open or when. The restaurant could open as early as the summer, one source said, but another predicted delays. A representative for the restaurant, which hosted former President Bill Clinton and wife Hillary in September 2012, declined multiple requests for comment. An owner of the building, Joseph Loconte, was coy about the possibility of a Rockaway Roberta's. "I'm not saying yes, I'm not saying no," he said. "I hope something good comes to my space." This wouldn't be the first time the Brooklyn eatery has ventured into Rockaway — the owners of Roberta's also own Rippers, a summer bar and burger joint at the Beach 86th Street concessions. Last summer they also sold pizza from an oven stand on Beach 67th Street and the boardwalk. The new possible location is across the street from DiCosmo's Ices and the famed Rockaway Taco.